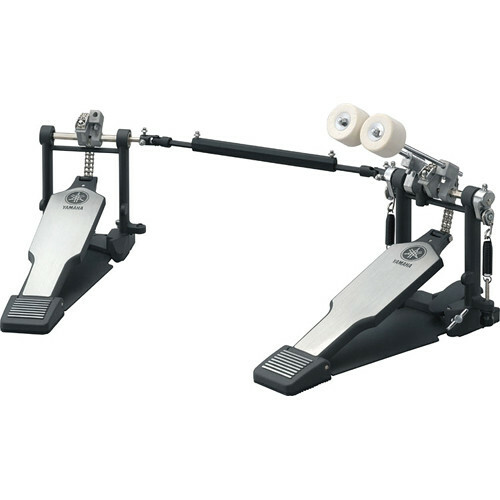 The Yamaha DFP-8500C Chain Double-Bass Kick Pedal features a chain drive system and optional nylon belt for those who prefer a strap-drive. The pedal is built for rigorous use with stabilizer bars cast into the pedal frames, longer and wider foot boards for stable feel. The DFP-8500C has adjustments for beater angle, footboard angle, and spring tension.